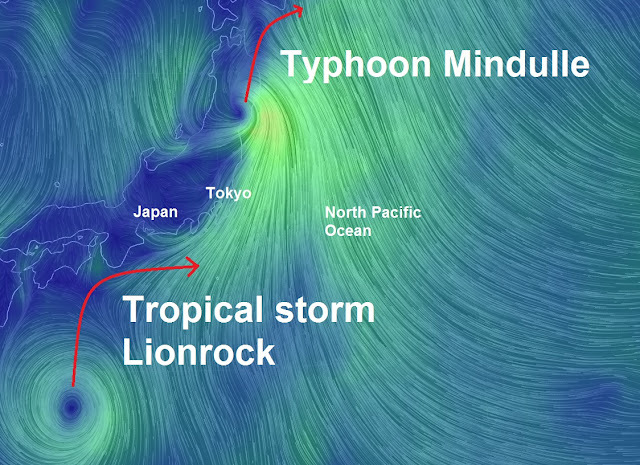 Typhoon Mindulle made landfall in eastern Japan, roughly 50 miles south of Tokyo, early Monday afternoon local time, causing flooding and significant travel delays. At least one person is feared dead in the flooding, according to the Japan Times. 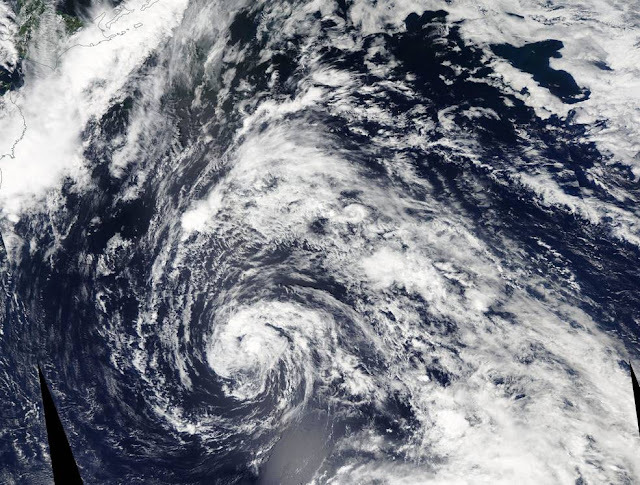 Japan's Fire and Disaster Management Agency reported 11 others injured due to the cyclone. Tokyo's Narita Airport was closed Monday afternoon when winds of 126 km/h (78 mph) lashed the control tower, forcing employees to evacuate. This was the first time that the tower has ever been closed due to a typhoon, according to the Associated Press. Torrential rain and strong winds resulted in the cancellation of more than 400 flights in and out of Tokyo's airports on Monday. Heavy rain totaled nearly 300 mm (12 inches) in Oshima while the Greater Tokyo area received 75-150 mm (3-6 inches) as of early Monday evening. The flooding caused further travel delays as many roads were left underwater. Heavy rain triggered a mudslide resulting in the evacuation of a commuter train in western Tokyo. 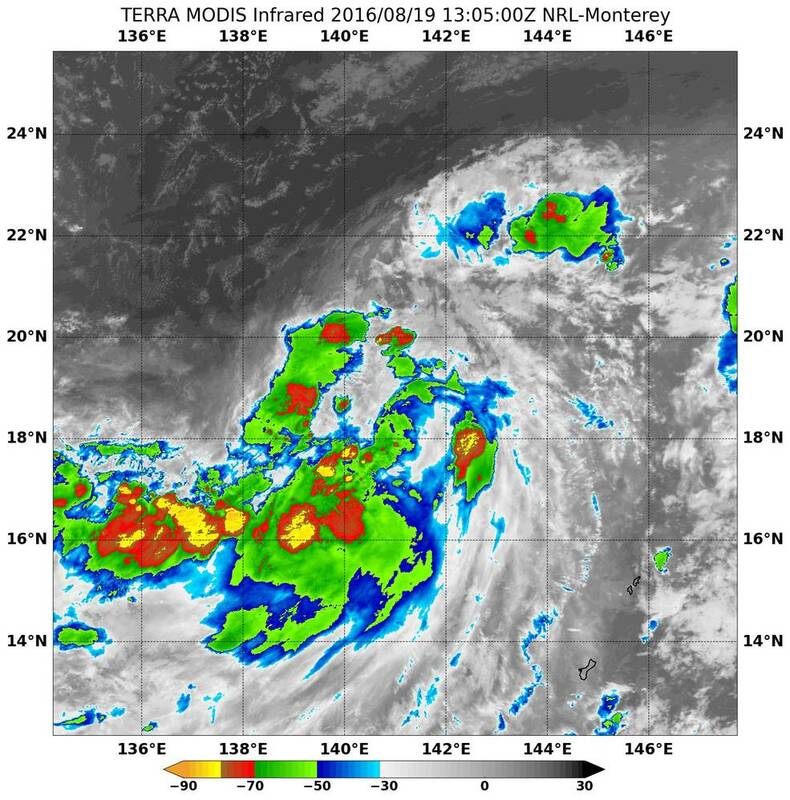 Tropical Storm Lionrock was moving south of Japan when NASA's Terra satellite passed overhead and looked at the large storm in infrared light. Mindulle hits Japan, Lionrock threatens next 8/22/2016 3:37:48 PM As of Monday morning, EDT, Tropical Storm Mindulle was about 150 miles south of Misawa, Japan, and moving north-northeast at 23 mph. Maximum-sustained winds were 45 mph with gusts to 60 mph. Mindulle is continuing to weaken as the center of circulation has been over land for the last several hours.